Summer of 2008. New Zealand vs England. In Game-1 of the 5-match ODI series, played at Cheseter-le-Street, Kevin Pietersen rattles the world of cricket with a new shot (Click here to watch Pietersen’s switch-hits in that ODI). If not for the career-low decision making skills of Paul Collingwood in the next two ODIs, Pietersen’s switch-hits would’ve been bigger news, if not, the only news of the summer. The switch hit had instance reactions. Cricinfo had compiled some of them in the same week the shot was first revealed. Everyone had their say, they should. Some liked it, some didn’t, and some were speechless. I didn’t like it. We can react, we are just the fans who cough up money to watch the game, and then enjoy the game and support the players we love. But, if you are the ones who is drafting the rules of the game, I’d rather you take your time before you make the decision on it, call in the views, condense the views, debate it, and then draft the law on it, or make amendments. The shot was played on June 15th, MCC approved the Switch-Hit on June 17th. Within 2 days, MCC has accommodated the shot while weeks and months after it, people were still debating its legality. This was a knee-jerk reaction from the MCC. Law makers should make decisions, not give reactions. They are supposed to be responsible for the game more than I am. And 4 years later, today, they are going to review it. Four years, it takes them to compile the feedback that they should’ve catered to before approving the act. Yes, I don’t like the shot. The switch-Hit is very fancy, very skillfully executed, almost impossible to execute in a game-situation. I accept that. But, it doesn’t fit within the laws of the game. Let me elaborate with a batsman as a specific case – a Right Handed Batsman (RHB). A RHB has his right wrist below the left wrist while holding the bat. His right shoulder exerts the force into the shots. 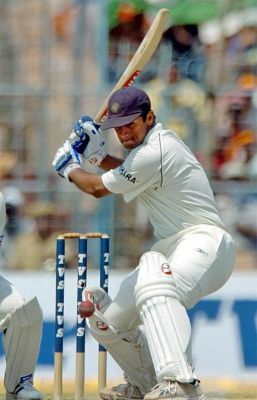 His left arm plays support, while guiding the bat with a direction. As soon as that left wrist grips the bat’s handle under the right wrist, the batsman turns into a Left Handed batsman (LHB). First of all, the batsman cannot and should not do that. If that batsman comes to the crease as a RHB, he MUST play RHB. The whole *deletes swear words* nuances of bowling and fielding depends on that orientation of a batsman. A bowler HAS to tell the umpire if he is going to bowl with his right arm, or his left; also, which side of the wicket he will be bowling from. If he doesn’t it is declared a no-ball. No, this is not Madrasi Gully Cricket rules, it’s what I understand from MCC’s Law 24 Clause 1. That’s their opening line, like saying, “Listen up, bowlers, you should give me your bowling run-up and stride’s co-ordinates in writing; and if you dare step one inch out of the path, you’re screwed. My back may be facing you, but I’ve got GPS to track you”. “The off side of the striker’s wicket shall be determined by the striker’s stance at the moment the ball comes into play for that delivery.” – says Law 36, Clause 3. Does it mean that it means that if the batsman switches hands before the ball is released, the left half of my television screen becomes the leg side of the formerly RHB batsman who has jussst switched to a left handed orientation, according to that law? Because, if that was true, it is going to hit the fielding team in BIG way. According to Law 41, clause 5, there can be no more than two fielders on the leg side behind the popping crease at the instance of bowler’s delivery. If our beloved RHB becomes a LHB at the instance of the delivery, and I, as a fielding captain, have set two slips, a gully, a point (standing behind the popping crease) and a 3rd man, then three or more of them have to act out scenes from the movie “Avengers” really fast to flee to the other side of the popping crease. Till that day arrives, however, I cannot fathom that happening. So, it obviously turns out to be a no-ball. Thus, almost every time a batsman is allowed to switch hands, becoming a left hander, he gets a no-ball. Some interpret Law 36, clause 3, as “…before the start of the run-up.” In that case…. The most obvious, and the most widely debated issue in this Switch-Hit party is that of the LBW. This, is if you assume that everything else on the field is frozen for a RHB, and then the batsman switches hands and has become a LHB and gets hit on the pads after the ball pitches on the leg side area of a RHB’s pitch map while he trying to swing the ball across to an RHB’s cover-point region. Even if the batsman is now a LHB, he can’t be out, because it is interpreted that the leg side is as per the batsman’s orientation when the bowler starts his run up. If the batsman is still considered to be a RHB in-spite of the switching, then this shoots up all the rules for wide and LBW. There is no clarity over which side is the leg side, and which is the off side before and during and after every ball. All these levels of confusion, only because the batsmen have been given the leeway to switch their orientation as and when they wish. Which is plain wrong. Going back to the point I made earlier – bowlers are penalised for switching from over the wicket to around, or vice-versa, and the umpire conveys that information to the batsman. If you really want the bowlers to bowl where you want, how you want, use a bowling machine. In a reverse sweep RHB plays with right wrist on the bat’s handle under the left, unlike in the case of a switch hit. So, there is not confusion with the field set-up, or the pitch map, or any rule pertaining to a RHB. Well, neither do the batsmen give a warning about what shot they are going to play (for example sweep, cover drive, lofted shot over long off, cut shot, or for *deletes swear word* sake even a leave). Where is the mismatch in expectation or element of surprise, where is the need for the “opportunity”? And yes, Kevin Pietersen has been tweeting wild defending the switch-hit(1, 2, 3, 4, 5), while the ICC is trying to modify the LBW rules for it. To me, Switch-Hit has no place in cricket. And trying to accommodate this and then modifying other laws of the game to compensate for this is will dilute the quality of the game. Of course, it is a stroke of exceptional skills, and am sure Pietersen (and Robin Petersn and David Warner and the other faithfuls of the act) will find a platform to showcase that and entertain the people who love that. Like, in those cricket skills shows . I am writing this a few weeks after I watched an ODI game at the Wankhede Stadium between India and England. In the months and weeks preceding the game, I had had many arguments with fellow cricket tragics in Mumbai about facilities in some of the new stadia in India and about how the game’s administrators in India, the BCCI, treat the game’s key stakeholder: the fans. The BCCI has been in an immensely fortunate position since the early 1990s: Fortunate because it suddenly discovered that it had a significant and substantially large fan base; Fortunate because these fans collectively delivered the BCCI a significant power base in World cricket. Through the suddenly discovered fans, BCCI discovered TV licensing rights. It discovered money. I say ‘discovered’ rather than using a term more definite, concerted, understood and coordinated because, in my view, much of what the BCCI does appears to be serendipitous. The BCCI gives me the impression of an organisation that is continually in search for a needle in a haystack but continues to find the farmer’s daughter there instead! The BCCI has not been accused so far of having a coordinated and well articulated strategy for exploiting the distinct advantage it has — a large, devoted and unshakable fan base. Nor is it in any danger of being accused of having a strategy to develop or grow its fan base. The fan base just exists. And fortunately for the BCCI, today, this fan base is still growing. One can condone BCCI not taking care of its fans if it shows leadership in other spheres — particularly at the head table of the ICC. On balance, I would not say that it does. There are, however, a few exceptions to this rather haphazard, seemingly disorganized and somewhat myopic thinking by the BCCI. The organisation’s stance on the “whereabouts clause” in the WADA dope testing regime is one of them. Another example of leadership — albeit somewhat ineffective for a while — was BCCI’s stand on the DRS. The BCCI was not at the head-table providing opinion and thought leadership. Instead it had its office bearers mumbling their way through immature explanations and ill-thought out rationalizations. BCCI’s paid commentators said that the rest of the world was against India because of “envy”! There was no one from the BCCI putting out a cogent and articulate argument against the DRS. Once again, the thought leadership was absent on this issue — an issue on which BCCI, perhaps, had a legitimate objection. Perhaps the BCCI didn’t know how to construct a cogent argument. Perhaps the BCCI could not be bothered. Perhaps the BCCI lacked the wherewithal to make a convincing argument. Today, the BCCI is a powerful organisation. It is a monopsony (thanks to @sumants for this reference). It operates in a market condition in which goods or services or talent are offered by several sellers (players with skills) but there is only one buyer for these skills. When ICL came into the picture, BCCI was able to move the ICC to not provide the ICL with a license to operate. This is a powerful position to operate from. It is also a position that ought to force the monopsonist to act with utmost care and phenomenal responsibility. The bar must be significantly high. It is not BCCI’s fault they are the largest and most powerful member of the structurally inefficient ICC family! But neither is it, in my view, to their credit that they are the largest and most powerful! You and I have delivered this power to the BCCI. Today, it just is the most powerful voice at the ICC table. It is also not BCCI’s problem if the representatives from Sri Lanka and Pakistan (say) just nod the same way when the BCCI nods. But inevitably power gives the powerful member a few strings at the end of which one often finds the heads of puppets. So it becomes important for the power wielder to use that power judiciously. Of course, other boards around the world are guilty of lining up to the BCCI for their own advantage. An example is the motion for a 10-member 2015 World Cup, where the joint Australia-NZ idea was mooted and proposed by the BCCI at the ICC meeting. Witness also the cunning ECB plan of an ICC permanent presidency — again being proposed by the BCCI. Favours will have been traded prior to the BCCI putting up such nonsensical contrivances. But in the end, the BCCI did put up these motions expecting everyone to nod the way it did. On the 10-member World Cup issue, CA and CNZ placed a gun on BCCI’s shoulder and fired. So the appropriate question is whether BCCI should have allowed CA and CNZ to place a gun on their shoulder to fire — in exchange for another favour elsewhere. Similarly on the permanent presidency issue, the ECB was allowed to place its gun on BCCI’s shoulder to fire. While the “conniving followers” cannot be totally absolved in these (and other) episodes, it is true that the BCCI provided the shoulder. So one can quite understand the collective urge to paint BCCI as a “permanent bully”. And of course, there are several examples to support a theory that it has become quite fashionable for opinion-makers to blame BCCI for all ills in cricket today. Soon, we might even start blaming BCCI for world poverty, hunger, the political problems in pockets of the world, Arjuna Ranatunga’s excessive weight and Merv Hughes’s mustache! But it is often BCCI’s behaviour at the head table that gives rise to this collective tendency to yell “BCCI Bully” before an issue is even properly addressed/investigated. The DRS is a wonderful example of just this. The irrational fear is that if BCCI opposes an issue, it will remain opposed. The BCCI has to show exemplary leadership — and I make no compromise on this requirement, knowing full well that the non-leaders are not innocent rabbits either! There are political moves that are constantly made! We cannot ignore the expediency in deal-making by the “followers of the leader”. To ignore these moves would be to sacrifice completeness. To do that would be to sacrifice opinion integrity. To do that would be to compromise honesty. But more importantly, to do that would be to widen the trust-chasm and the trust-deficit that exists in the cricket world today. We, the fans, need to be tough on our expectations of BCCI because cricket journalists and opinion-makers in India are, in my view, rather weak. Few journalists in India can criticize the BCCI. This most powerful organisation controls access, accreditation and privileges and frowns on negative press it receives from anyone in the press lobby. As a result not much is written against the BCCI in the press. Press folk value their accreditation privileges too much to talk out against the many BCCI-inflicted atrocities. There are easy routes to take. And on most issues, despite the sore bottoms they might acquire as a result, a fence-sit is convenient for most press folk in India. I expect to be flamed by my friends on Twitter and elsewhere for this criticism of the BCCI. But I expect the BCCI to be extraordinary citizens at the ICC table and extraordinary governors of the game at home. I am not convinced that they are either. I expect the BCCI to move motions at the ICC with extreme caution and utmost wisdom. I expect the BCCI to show a level of governance of the game in India that is the envy of the world. The BCCI falls short on both counts. Oh! And what about the game itself on 23 October 2011? The tickets were ridiculously priced. I could not purchase the cheaper tickets online. I had to trot to a window in South Bombay to purchase tickets. I did not. I got the tickets through someone who knew someone who knew someone who knew someone who then got tickets for us through someone they knew! Is this the way tickets ought to be sold in 2011? I do not think so. The face value of the tickets we got was Rs 2000. The fact is we got these for cheaper than the face-value. But that is neither here nor there. The tickets were priced at Rs 2000, which is approximately AUD$45. In other words, these tickets were almost as expensive as an ODI ticket at (say) the MCG. My experience was nowhere close to the many lovely experiences I have had at the MCG or the SCG or Adelaide Oval. Although there were only about 5,000 fans in a stadium that could hold 35,000 (or thereabouts) it took us several security checks — each one more cursory and more unnecessary than the previous check — before we could get in to the ground. This may not be BCCI’s fault. However, I would expect BCCI to be involved in discussions with the several agencies involved in streamlining these totally obtuse and completely irrelevant entry procedures. We were “security checked” by 6 different sets of people within a 100m distance. Each security group performed a job that was worse than the previous group. The final check was performed by a group that was hired by the BCCI (or so I was told). This was the worst check performed of the lot. I did not see the point of such entry procedures performed in a quality-vacuum and a trust-vacuum. The job was, at best, perfunctorily performed by a bunch of people who wanted to be inside the ground rather than outside it. It was a frustrating experience on what was a hot, humid and sultry day. As a result, what ought to have been a 5 minutes procedure took us over 45 minutes to get in. We could not take mosquito repellents or hand sanitizers or sun screen lotions into the stadium. That may be fine if we could purchase mosquito repellents or hand sanitizers or sun screen lotions inside the stadium. We could not. Did we need these inside the stadium? That is not the point. Players apply zinc cream on their faces. Should spectators not? The seats were clumsy, dirty and just bad. The toilets were incredibly bad. Sure. The facilities are better than they were some 10 years ago. But that cannot be an excuse to charge Rs 2000 and continue to short-change the fan. I have watched games at various venues in England (The Lord’s, Oval, Leeds, Wembley, West Ham, The Kop, etc) and Australia (The MCG, The SCG, The Adelaide Oval, Rod Laver Arena, etc). I never felt as unwanted as I was at the Wankhede stadium. I was irrelevant to the BCCI. I felt that I was interrupting the BCCI from its enjoyment of the game. Is this what we ought to be accepting from the premier organisation in the game? I don’t believe so. Am I alone in feeling thus? Can we complete a 14-team World Cup in 4 weeks? The current Cricket World Cup 2011 goes on for 42 days. The previous edition of the World Cup (in 2007) went on for 42 days. It was so long that I asked my friends in 2008 if the cricket World Cup 2007 had concluded! The CEO of the ICC at that time was Malcolm Speed. I can say that certainty that I would not associate his name (Speed) with the time it took for the World Cup he organised under his watch to conclude! The World Cup takes way too much time in its current format. In direct contrast, the Soccer/Football World Cup lasted exactly 25 match-days! And the Soccer World Cup features 32 teams, as against 14 teams in the Cricket World Cup! Notwithstanding the fact that ODIs take longer to complete than soccer games, in my view, the cricket World Cup just goes on and on needlessly! The ICC’s reaction to criticism of the duration has been to suggest a trimming of the competition down to 10 teams. I am not sure that that is the way to go. We then get a situation where we deprive growth in the game. We also get deprived of romantic situations like last night when the Irish underdog beat the mighty English! Agreed, such thrashings do not come often and that more often than not, we see the “minnows” (Oh boy, I hate that word so much!) get thrashed by the big teams. However, there is a certain romance surrounding Burton Albion drawing with Manchester United in the FA Cup in 2005-06! The FA Cup provides opportunities for the underdog to have its day in the lights. Similarly, the World Cup should also provide space for the smaller teams to try and flex their muscles against the bigger teams. During the rest of the intervening period between World Cups, my proposal (one that was initiated by Dileep Premachandran, I believe) is that smaller team are featured in domestic competitions. For example, there is no reason why Afghanistan (a fast improving team) and UAE should not play in the Ranji Trophy. Similarly, Ireland, Scotland and Netherlands should be allowed to field teams in the England County Championships. The USA team should play in the Carrib Beer Cup in West Indies. The question then is whether the World Cup duration can be shortened while not sacrificing participation. At 42 days, as I said in my opener, the Cricket World Cup is way too long. It can be trimmed. With 14 teams split in two “divisions”, it is possible to complete the World Cup in precisely 28 days! I have named the teams a1-a7 and b1-b7. According to the schedule below, the entire competition can be concluded from day-1 (d1) to day-28 (d28) with four rest days (d20, d23, d24 and d26). In other words, the entire competition can start on a Sunday and will be completed precisely 4 weeks later on a Saturday! I have assumed that each weekday will feature 2 games and weekends will feature 3 games. This is very possible! Each team will have (on average) 2 days between successive games in the league stage. Mind you, the above tables represent merely one permutation of many plausible solutions. I worked it out merely to illustrate the point rather than providing a direct implementable solution. Now why is it not possible for the ICC to adopt such a schema or template for the World Cup. If I can come with a schedule like this in half an hour of mucking around, surely the boffins that get paid loads of dosh to run cricket can do better than that! The last week of 2010 saw two interesting Test matches being played. Both of these ended in amazing results — for England and for India. England retained the Ashes with a stunning victory at the MCG and India, with a win in Durban, seemed to take a significant step towards establishing — yet again! — that they travel well these days. But the two matches made news for another reason: The Umpire Decision Review System (UDRS). Ricky Ponting made a mess of himself on field by arguing with umpire Aleem Dar after a UDRS decision had gone against his team! As I stated in my earlier post, in my view, if Ricky’s surname was not Ponting, but either Singh or Kumar or Khan, he would have been suspended for his totally over-the-top antics at the MCG. The over-tolerant Aleem Dar ought to have showed Ricky Ponting a red card for carrying on like a pork chop! After the over-the-top carry-on, the match referee slapped a mere fine on Ponting! Once again, we saw extreme incompetence — if not impotence — of the match referees in dealing with situations involving players from the “traditional powers” of cricket (read: Anglo-Saxon nations). Ricky Ponting had a problem or two against the UDRS and chose a rather public and unacceptable way to demonstrate his disagreements with it. Across the Indian Ocean and away from the MCG, Graeme Smith made a point about the UDRS to the International Cricket Council (ICC) in his post-loss press-conference. After being at the receiving end of bad decisons at crucial points in South Africa’s attempt to overhaul a victory target of 303, and without the benefit of the UDRS to fall back on, Smith complained about ICC’s inconsistency in its approach to the application of the UDRS. Graeme Smith does have a point. The UDRS needs to be uniformly implemented. As per the current implementation of the UDRS, the host country must decide on the use of the UDRS in consultation with the visiting country. Although, South Africa was in favor of implementing the UDRS, and although South Africa could have insisted on the use of the UDRS, the UDRS was not implemented in the RSA-India series. One assumes that the BCCI, the Indian Board, which does not like the UDRS, used its financial power to muscle the UDRS out of the RSA-India Test series. Sachin Tendulkar and MS Dhoni are not fans of the UDRS as it is implemented. India’s only experiment with the UDRS was a bitter experience against Sri Lanka in 2008 — the team got most referral decisions wrong. The players developed a sense of extreme mistrust with the system and treated it like a hot potato. Since then, India has not used the UDRS in series in which it plays host (its prerogative) and has used its power to ensure that the UDRS has not been used in series against Sri Lanka and, now, South Africa. In my view, a limited version of the UDRS should be uniformly employed in all series. Further, his decision should not be left to the host country or the visitors. Just as 2 on-field umpires, a match referee, a 3rd umpire and a reserve umpire are mandatory in all Test matches, the ICC should make a limited version of the UDRS compulsory for all Test matches. So what should this new-UDRS include? From an umpires’ point of view, the ICC should enable them to focus only the big issues. Umpires should not need to focus on things like counting balls, run outs and no-balls. Umpires already refer run-outs. The 3rd umpire should rule on no-balls and should whisper in the umpires ear to call the end of an over. These decisions should be taken away from the on-field umpires. These somewhat straight-forward decisions can and must be technology-driven and technology-assisted. This then brings into focus “nicks” and whether a ball pitched in line in LBW decisions. I believe “hot spot” should be used in all matches. In my view, the two dimensional technology that is used to project height, swing, spin and movement is just not believable nor trustworthy! The ICC should choose a version of UDRS (of the many that exist) and employ it for all matches. All “nicks” (whether for detecting inside-edges in LBW decisions or for caught behind appeals) should be referred to the 3rd umpire if the on-field umpire wants seek the assistance of technology in deciding. It should be the on-field umpires’ prerogative to seek the referral. Just as it works for run outs currently, the on-field umpire will seek out technology when needed. The “hot spot” technology does work effectively and is utterly believable, in my view. The “Snickometer” technology which is also error-free takes too long to spit out results — and the game cannot be stalled for such long periods of time. Further, the UDRS should also employ one of the many systems that can be used to detect whether a ball pitched “in line” for LBW decisions. Technology in this area is believable and accurate. With all of the above modifications, the umpires can then save their focus on trajectory, discipline on the ground, ball changes and other such decisions; decisions that requires their judgement to be applied. The problem is then with interpretation and errors in these areas alone. One doesn’t need judgement and interpretation of whether the ball pitched in line or whether it is a no ball. A machine can predict that accurately regardless of the type of technology that’s used. So what would a new-UDRS mean? Run outs are referred to the 3rd umpire when needed (as now). Clear cases of no-balls are automatically called on the field. In borderline cases, the 3rd umpire whispers in the ear of the on-field umpire. An alternative would be to use a “cyclops” type machine to yell “NO” on the ground. The 3rd umpire is called upon to use “hot spot” to detect “edges” in caught-behind, LBW and bat-pad catch appeals. The on-field umpire must request the 3rd umpire to adjudicate in these cases. The 3rd umpires’ assistance should also be used in deciding whether the ball pitched impacted in line (off-stump) or pitched in line (leg-stump) in LBW appeals. Again, the on-field umpire must request the 3rd umpire to adjudicate in these cases. And that is about all that the new-UDRS should include. The on-field umpires can then save their focus on things that need their judgement (trajectory, bounce, etc). With these modifications I believe we will have a UDRS that is more acceptable; and one that is more widely used. It is time for the ICC to step in and take real control of the game. At the moment, it continues to dither on most important issues affecting the game. As if it wasn’t enough for the ICC to get bogged down by a bankruptcy of ideas and control of the game, the organisation has now found a new way to embarrass itself. It has stumbled to a new low resting point through a shocking mis-management of the process for electing John Howard as President-Elect of the august body! Hilarious opening to an interesting opinion piece. I do not agree with much of what Haigh says in this article, but it certainly paints a mobid picture of a moribund organisation! The problem with Haigh is that he has declared his cards as a person that views the BCCI, IPL, Modi and Indian cricket with suspicion if not disdain! In the past he has stopped short of stating that the only cricket that really matters is that which is regularly held between England and Australia for a little urn. So I certainly have that grain of salt handy when I read anything he writes! But he does have a point. The ICC finds stunningly innovative ways of repeatedly embarrassing itself in public. The ICC Presidency chair is a rotating beast. So it cannot and should not really get political. If it is a Boards’ turn to have a crack at the top job, it ought to have all linen washed internally (as New Zealand and Australia did in choosing John Howard) before offering up a candidate who ought to be elected unopposed. That is how a rotating chair ought to work. There is, however, a danger in such a method because, before you know it, when it is Zimbabwe’s turn we may be forced to stare at Robert Mugabe’s smirk on the ICC website for four long and painful years! Hence there has been a proxy election in place. It has never, however, been used up until now. It has been used now! The result is that Australia feels insulted. New Zealand is probably saying “I told you he sucked as a candidate”. England is embarrassed through no fault of theirs — again! And the ICC is in some disarray as a result of (a) a terrible, terrible choice of candidate (in my view), (b) the organisations’ ineptness in making decisions other than those driven by consensus, and, most importantly (c) the organisation being unable to state to the losing candidate why (s)he lost! Ever since the International Cricket Council was formed (after its predecessors, the Imperial Cricket Conference and the International Cricket Conference were canned) we have had this rotation system work near-perfectly: England had Lord Colin Cowderey as President of the ICC (from 1989-1993). West Indies had the great Sir Clyde Walcott from 1993-1997. India had that wily combatant, Jagmohan Dalmiya as ICC President from 1997–2000. Australia had Malcolm Gray from 2000–2003 followed by Pakistan’s Ehsaan Mani from 2003–2006. This was followed by Percy Sonn (2006-2007) and Ray Mali (2007–2008), a dual South African act on account of the fact that Sonn passed away while ‘in office’. This then saw an England-India double act in David Morgan (2008-2010) and Sharad Pawar (2010-2012). The system has been working well in so far as providing a mechanism for tokens and lollipops to be routinely handed out to the member countries as appeasements. That is up until now, when the word “trust” has started to take on much more of a meaning in our collective dictionary than ever before. Moreover, through a combination of their collective increase in their self-confidence as well as an improved ability on the field and (especially for India) their money power, the word “trust” has also been bandied about more often than necessary. Muscles have been flexed! John Howards’ rejection has to be seen in this light and should not be seen as a collective insult to the Australian people. Malcolm Speed has reacted angrily to the insult in his emotional outburst. He even suggests that Australia and New Zealand should give up their automatic right to a lollipop hand-out and, instead, hand it over to the next set of boards in the lollipop queue: Bangladesh and Pakistan! Gideon Haigh has reacted emotionally and bemoaned the insult to the man who was so loved by the Australian people that they elected him not once, not twice, not three times, but no less than four times! Gosh! Of course, that must mean so much to a rag picker in Southern Mumbai. Right? John Howard was a brave man when he was in power as Australian Prime Minister. He had views on most things and did not take a backward step in going forward on things he believed in. He routinely commented on things cricket. He loved his cricket. He even bowled once when in Pakistan when on a tour there — never mind the fact that few of the balls even reached the hapless batsmen! He also came out in the open and called Muthiah Muralitharan a “chucker”! Do you think the people of Sri Lanka and the Sri Lankan Board would trust a man at the top of the ICC tree after his utterances against their beloved son — utterances made by an incredibly honorable man while in a position of the power that was bestowed on him by the good people of Australia no less than four times? The fact that the good people of Australia showered their love on John Howard — and I have no doubt he is an incredibly honorable man — four times should mean diddly squat to the people of Sri Lanka or officials on their cricket board! However, the fact that Howard ignored the opinions of bio-mechanics experts and chose to comment on Muralidharan’s chucking, would have made the Sri Lankan Board and her people sit up and view Howard with some suspicion. Let us not forget that one of the men close to the officials that run the cricket board in that country is Arjuna Ranatunga, the captain that labored through that awful awful time for Sri Lankan cricket; a time made worse by John Howards’ comments. Sri Lanka simply does not have trust in the ICC-man Australia has chosen. Simple. Ditto Zimbabwe, given Howard’s utterances against that country and its cricket. Was Howard right with his views? That is not really the issue. The issue is one of trust deficit. Ultimately, Howard just did not have friends in ICC member countries. This is not an insult to Australians or to Howard. If Gideon Haigh did not care, why would he devote so much eyeball space to the BCCI and its “fratricidal” ways? I have a feeling that Gideon Haigh will soon drop the blame for world hunger and world peace at the door steps of the BCCI! Yes, there was indeed a report in a few Indian media outlets that the BCCI’s decision not to support Howard stemmed from the current BCCI leaderships’ desire to stick it to Sharad Pawar! And Gideon Haigh, a reputed and thorough journalist, fell for that piece of unfounded and ill-informed junk? The initial story quoted no source nor attribution. Nor did it have a basis. It was a story that I read and discarded. Gideon Haigh must perhaps learn to develop a few filters, especially when reading Indian media — most of whom are story tellers who look at the phrase “breaking story” and pay more attention to the word “story” than the word “breaking”! Leadership by the BCCI has minimal role to play here in this, in my view. There was, in my view, a leadership vacuum in Australia and New Zealand when the choice of John Howard was made. I could have predicted this outcome the day John Howard was put up as a choice. We will then protect our relationship with Australia and New Zealand by watching as this terrible choice is torn down by South Africa, Zimbabwe and Sri Lanka! Unfortunately, if the above hypothesis is correct, the BCCI did nothing more than protecting its self-interest! Protecting self-interest is not wrong in itself. After all, look at what England and Australia did in the formative years of cricket! Moreover, everyone looks after their self-interest. What is wrong is putting self-interest so high that the game itself is compromised or ruined in the process. The latter would happen if John Howard was the only human being left in Australia and New Zealand! The last time I looked though, despite negative growth rates, New Zealand and Australia do still have a few people left! I am sure one of them would be an acceptable candidate — and even a strong candidate — for the whole of the ICC. Indeed, before Australia pushed hard for John Howard, New Zealand wanted to pursue John Anderson — former chairman of the New Zealand board and a terrific cricket administrator. Surely, he would have been elected unanimously and we would not have had to assess whether the Australian people had been viscously insulted and victimized! Therefore, in my view, the mistake lies not in the doorstep of the BCCI or Sri Lanka. The mistake was in the choice of John Howard who had perhaps made many an enemy in the cricketing world. That said, the ICC, sunk to new lows because it showed again that it is political, moribund and powerless. The saddest thing about this episode is that it is a clear signal that cricket is divided with England, Australia and New Zealand on one side and with India, Pakistan, Sri Lanka, Zimbabwe and Bangladesh on the other and with South Africa and West Indies developing collective sore backsides from time to time! Despite strong and stellar attempts by Australia, and in particular, James Sutherland, in recent times, the trust deficit exists. But in recent years cricket seemed to have moved away from post-colonial angst into the lap of naked capitalism. Self-interest remained the guiding principle, but alliances based on commerce rather than race seemed far more palatable. The use of the term Asian Bloc – it had a pejorative ring to it – became rarer as India and Australia, the richest board and the strongest team, moved closer. So why is Howard’s rejection at the ICC table wrong? And why do I think the ICC is moribund? Any candidate is owed the duty of care and the dignity of feedback in any transparent election process. If they are not selected they need to understand why they were not chosen. The only feedback that John Howard will have received, as Sambit Bal has noted, is from the Sri Lankan Board that stated openly that they did not rate Howards’ sport administration skills! On dear! Really! A man who led a country cannot run a cricket board? Clearly then, Sri Lanka rates Sharad Pawar’s sport administration skills highly. They probably took one good look at him asleep at the wheel while Lalit Modi diddled the IPL books and decided that Sharad Pawar ought to receive their backing! Right! Clearly, the reason offered by Sri Lanka has much to do with wool and eyes. But at least Sri Lanka offered a reason; albeit one that cannot be countered or defended in such a process. The rest of the members in the cast played some back room games, cast their vote and moved on with the same disdain that England and Australia used to dish out when the only cricket that mattered was that which the two of them played! Roles have reversed. The owners of the despicable attitudes have changed. Cricket stumbles through darkness yet again! Well, the ICC is not bankrupt yet — and we all know that! But it is an organisation that is constantly at war… with itself! Unlike FIFA or any other world sporting body that has taken (or attempts to take) total control of the game that it controls and the direction in which it is headed, the ICC seems to me to be content with being run around when strings are pulled by its members. People come and go in the organisation at regular intervals, but one thing that remains is that, in my view, the ICC seems to be heading towards bankruptcy (of ideas and power). It certainly resembles an organisation that is walking around with a gun pointed at its head. Interestingly, however, the organisation that holds the gun to the ICC’s head is not always the same. The ICC appears to be so weak that any one of South Africa, Sri Lanka, West Indies, Zimbabwe, India, Australia, England, New Zealand, Bangladesh or Pakistan is able to be the owner of that hand that holds the gun. We saw the existence of the gun but held by different hands when Bangladesh was admitted as a permanent member; when Muralitharan got banned and reinstated; when Shoaib Akhtar got banned and reinstated; when Harbhajan Singh almost got banned by a powerless Mike Procter and had his ban revoked by an Australian judge; when the IPL commenced; when Mike Denness banned Virender Sehwag and Sachin Tendulkar; when Hansie Cronje ought to have been banned; when the match-fixing controversy blew; when the ICL players were banned; when Shane Warne and Mark Waugh ought to have been banned but were protected by their host organisation; when Ramnaresh Sarawan asked about the health of Glenn McGrath’s wife; when Michael Slater enquired about the health of Rahul Dravid and Srinivas Venkataraghavan in a cricket pitch in Mumbai at a time when his own world was crumbling around him; when WADA wanted all cricketers to sign up to its anti-doping clause; and much more. A full compilation of a list of ICC-impotency moments will require a tome. Moreover, the ICC has made rabbits and headlights proud on the issue of Zimbabwe. Now, the organisation is looking like old rabbit in new lamb’s clothing but with sharper headlights when Australia stated her intention of starting a new 50-over-2-inning-format of the game. Today at a time when FIFA is marching on confidently with a firm grip on the ‘World Game’, the ICC seems to me to be an organisation that gives new meaning to the phrase “rudderless ship”. ICC says it wants to watch the new 2-inning-50-over (or 40-over) experiment that Australia wants to conduct. Agreed. One has to wait and watch and see and analyse and move forward. There is no point in rushing into something without a proper pilot that measures the effectiveness of any change. But is there a need to wait and watch this experiment for 6 years? What more is a 6-year wait-and-watch pilot of a new 2-inning-50-over format going to tell you that you do not already know about an existing 50-over format that looks tired today? This wait-and-watch experiment resembles the history of ICC’s involvement in the Twenty20 format. There is a suggestion that a Perth-man, George Christos, claims to have proposed a Twenty20 to the ICC in 1997 — a claim that the ICC has dismissed. However, the format was definitely researched, designed, developed and implemented by England’s Stuart Robertson between 1999 and2001. ICC watched as the format grew in popularity. ICC’s response was to reacquaint itself with rabbits and headlights! As the game became more and more popular and as the ICL bandwagon grew in its popularity, the ICC was compelled to conduct the first World Championship T20 Cup. That was when Lalit Modi was “waiting and watching”. He waited and watched publicly for precisely 3 months! The IPL juggernaut rolled out of the stables before the ICC could say either “rabbit” or “headlight”! The rug was once again pulled from under the ICC’s feet. They lost control of yet another round of shadow boxing in a game of power politics. In those three months that ICC spent twiddling their thumbs, an impatient Lalit Modi made a hash of a rebel-league attempt and created 8 extremely rich owners and poured more money (and thereby, more control) into an already bulging BCCI money pot! Modi did this right under ICC’s nose. Five years ago, the ICC with some dynamism could have created its own property. Of course, the 2-inning-50-over format has problems. But surely, by setting a exit-scenario for mothballing the current ODI format, the ICC could send a stronger signal that it wants control in the development of the game. It is, instead, reacquainting itself with rabbits and headlights; an art form that it has become adept at.